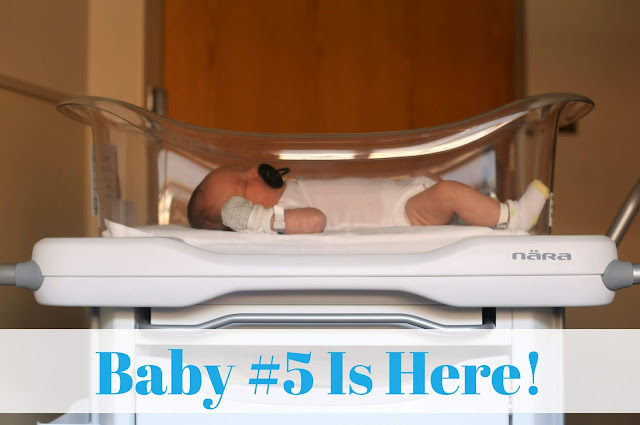 Our Five Ring Circus: Baby #5 Is Here! So, yeah, I gave birth to a giant! I did not have gestational diabetes, and the growth ultrasound indicated he would be between 8 - 8 1/2 lbs. I just grow my babies big, despite having awful morning sickness the entire time! His size was a HUGE surprise, and we didn't realize just how big he was until he was partially delivered, and got stuck. I will share his birth story another day, but let me just say that they managed to deliver him quickly and safely, and I'm still feeling the effects of that extremely painful delivery. Thank goodness the memory of the intense pain I felt faded, and I was given this beautiful boy to snuggle! And those cheeks?!? They are THE BEST! The day after we arrived home from the hospital, we kept all of our kids home from school so Grant and I could rest before jumping back into our normal routine, and so the kids could spend more time with their baby brother. It was back to business as usual the following day! Grant had two weeks of paid paternity leave, and it was so nice to have him home with us. I'm still not moving around at my normal speed, but I was in a lot of pain the first two weeks. It was so helpful to have him drive the kids to school, pick Liam up from Kindergarten, drive us to doctor appointments, and help us with the weekly grocery shopping. He headed back to work on Monday, leaving me on my own with our FIVE kids. (I still can't wrap my mind around that!) It hasn't been a perfect week, because there's never a dull moment with this many kids, but we're surviving! As for baby Coen, he's doing great! He is always being snuggled by a sibling, and is getting used to spending a lot of time in the car. He has 12 school drop offs, 12 Kindergarten pickups, 3 doctor appointments, 7 shopping trips, 3 visits to grandparents' houses, multiple visits with family members and friends, a few hours outdoors, a trip to the playground, and 2 hours of dance class under his belt already! Other than sitting down a lot to breastfeed, life hasn't slowed down one bit. I'm running on very little sleep, and two caffeinated drinks a day! Coen is actually smaller now at almost 3 weeks old than he was at birth. He dropped over a pound after he was born, and weight gain has been very slow. I am producing enough, and he is eating enough...I must have skim milk after months of morning sickness or he's just overly active! Although the doctor isn't concerned about his 9 lb weight, he has to go in for weekly weight checks until he reaches his birth weight. He's averaging 2 ounces a week, so this might take a while! I'm not overly surprised, because all of our kids started out big for their gestational age, and ended up really thin. As for now, I'm supposed to feed him on demand, and just let him grow at his own pace. He is very much newborn-sized and much smaller than when he was born, but I often stare at him, and wonder how he fit inside of me! He is SO long. Even folded in half, it's impossible to imagine. No wonder I was so miserable the last month of my pregnancy, and had awful indigestion. There was literally no room left in there! I told Grant that if he was our first baby, he would probably be an only child after that miserable pregnancy and delivery. But he is 100% worth it. We thought we were done having children, so I feel incredibly blessed to be able to experience this all over again. Time just needs to slow down. I might be exhausted and we might have our hands VERY full, but I am savoring every single moment with our beautiful son since he is our last baby. 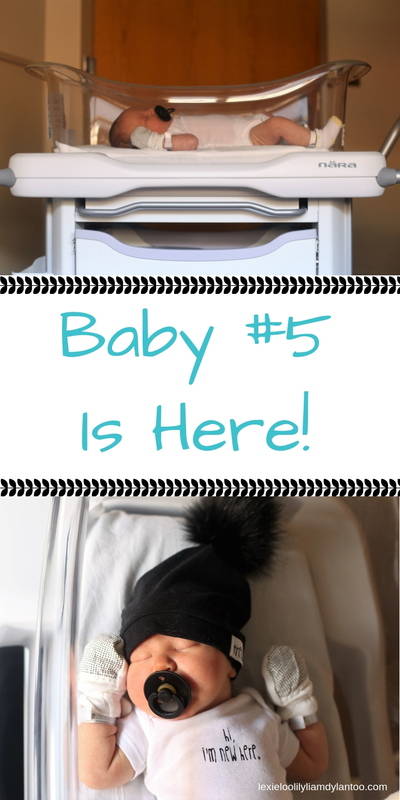 Coen is the perfect finale for our childbearing years, and we are so in love with our unexpected blessing! 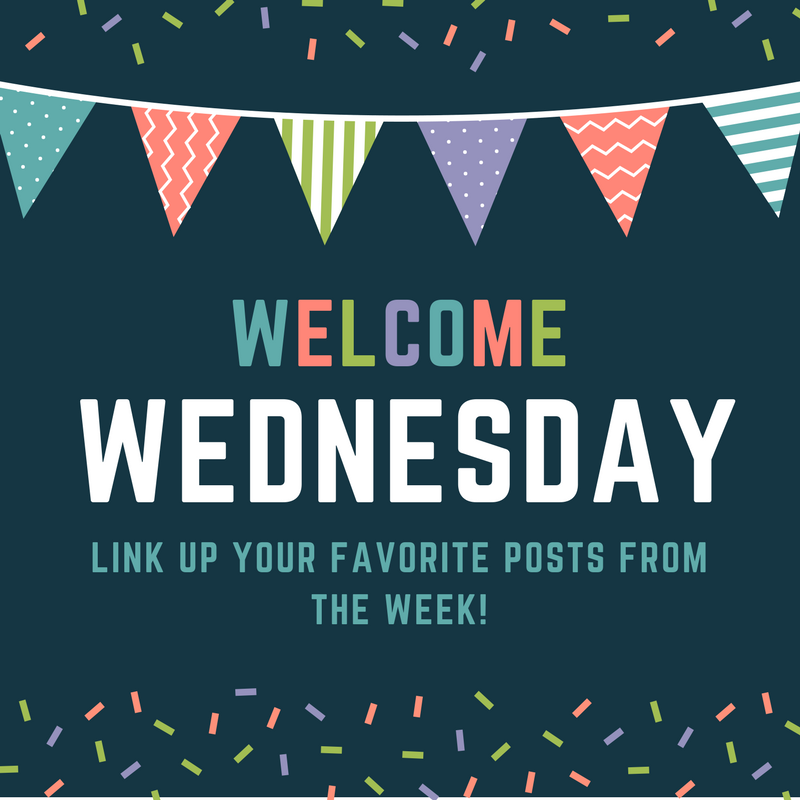 Link up for Welcome Wednesday! Congratulations on baby Coen again! He is precious. Did you ever do a blog post about how you chose the kids names? Thank you, Jeannie! And, no...that would be a good one! Congrats on Coen :) Hes a cutie! Congratulations! He is just precious. Hope you are getting plenty of rest when possible...I'm sure that delivery wore you out! Thank you, Tanya! I'm trying, but I'm lucky to get 4 hours a day tops. I know it's like this in the beginning, so I'm trying to stay positive...haha! He is so precious! I just want to kiss those cheeks. As far as a blog post name...I'll be thinking! Thank you! His cheeks are the best! Aww how exciting! Congratulations on Coen, he's adorable!! Congratulations!! Coen is precious and I just love his name! 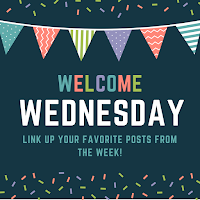 Blessings to you all! Wow, congratulations, and welcome Coen! He is adorable and perfect. So happy for you and your family. There are going to be so many fun times ahead. Sending love and best wishes to all of you. Beautiful and welcome to Coen! I'd love to hear how you chose his name. I'm happy your back in blog land too. I was going to knit Coen a present but he might not be able to use it with it almost being spring, so I have to rethink it! Awwww congrats! And welcome to baby Coen! I had a 9lb 15oz baby last time around, so I feel ya with the huge babies! He's adorable - those cheeks! Congratulations! I love his name; that picture with the Hello My Name Is tag is adorable. What a fun idea. I'm glad all the siblings are helping out and loving on their new little brother. As for changing your blog name...whew, that's got to be tough to figure out. LOL I'll keep my thinking cap on! He is just perfect!! I know you're eating him up! Congrats! He's absolutely adorable and I love the name you picked for him.